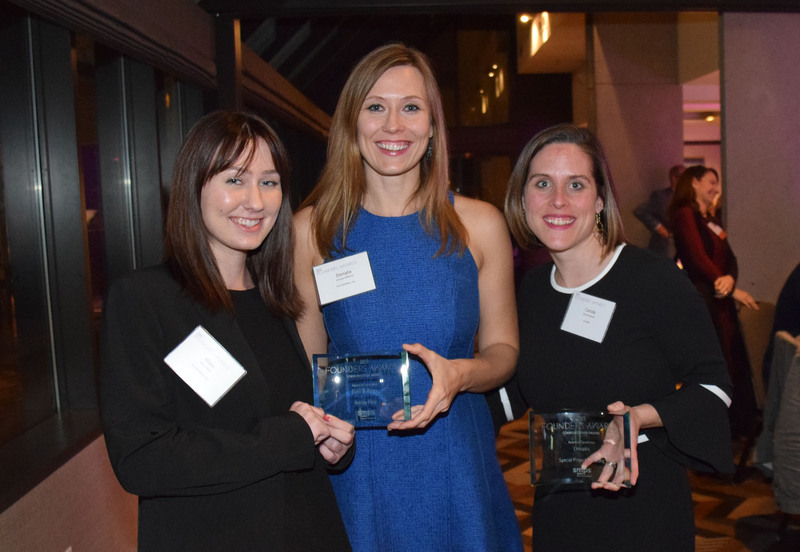 The SMPS (Society for Marketing Professional Services) San Francisco Bay Area Chapter Founders’ Award Program began in 2001 to recognize excellence in Marketing Communications in the built environment. 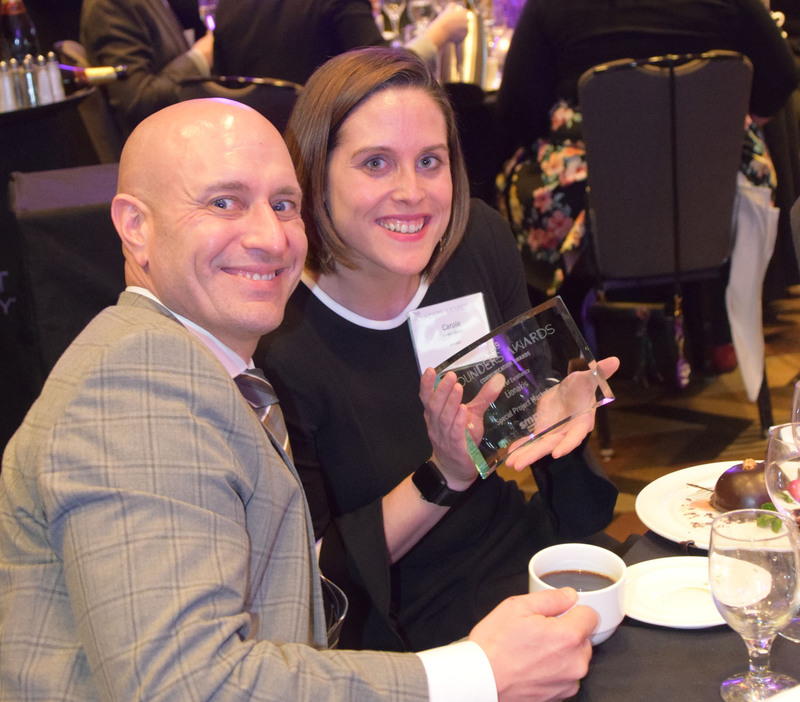 Yesterday, Lionakis was presented an Award of Excellence under the category of Project Marketing, which highlights an item developed in support of winning one specific project. 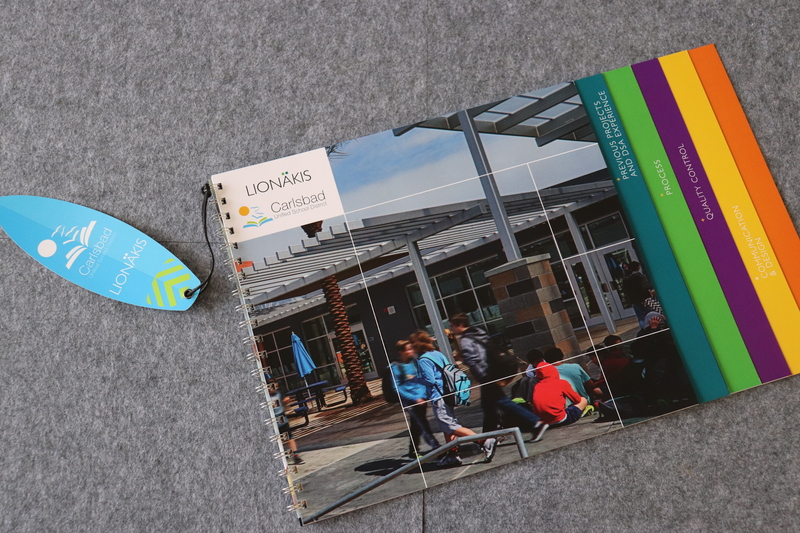 Lionakis submitted a multi-section booklet created for an interview with Carlsbad Unified School District to serve as a creative stand-in for a traditional PowerPoint, as well as an informational leavebehind. 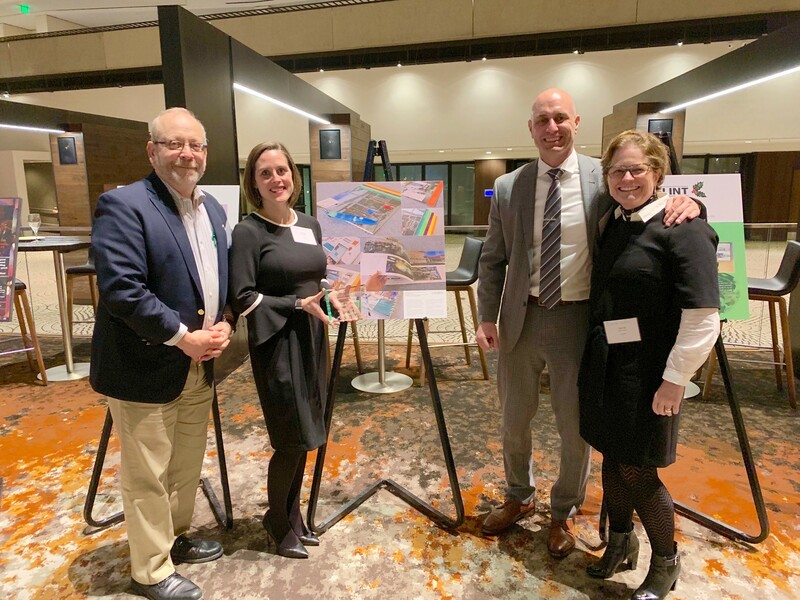 The goal was to develop a flexible print solution in response to the growing trend of question and answer-focused interviews within the K-12 market. 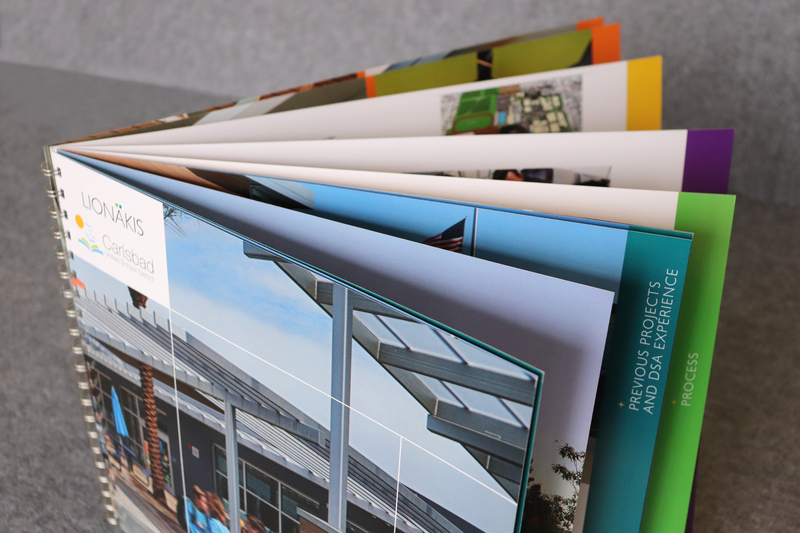 This 11×17 booklet includes a wide range of material likely to come up in conversation, from relevant experience to planning process and trends in the market. 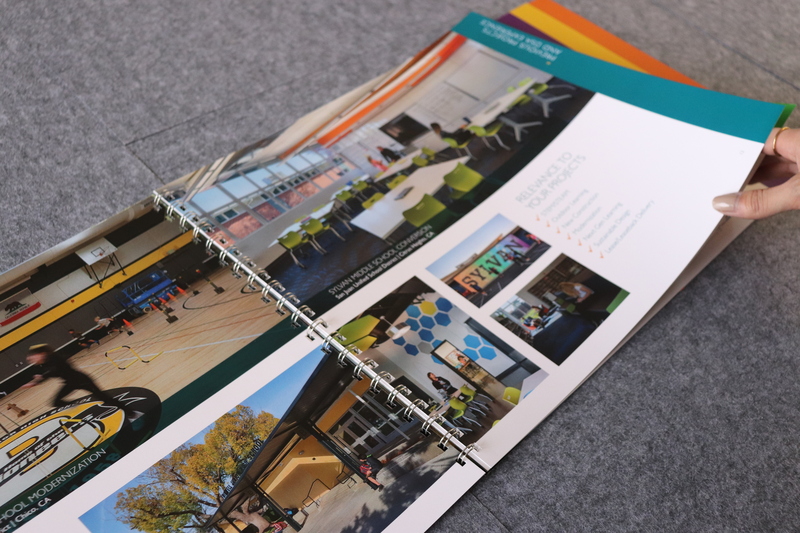 Vibrant, full-bleed photos and action shots of our own team members appeal to the K-12 audience and communicate how we work with our clients. An oversize, horizontal format provides maximum real estate and stands out from conventional-sized pieces. 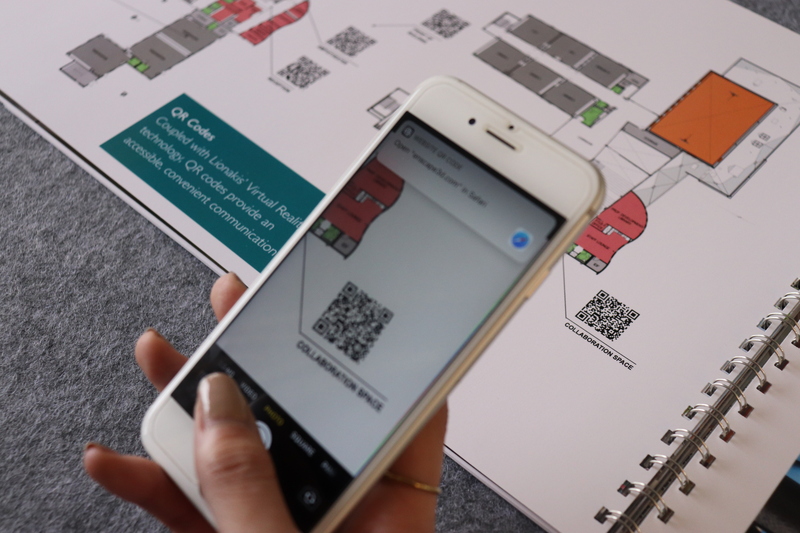 One key component was the incorporation of QR codes that allowed the selection panel to view design options and similar projects in 3D with phones during the interview. 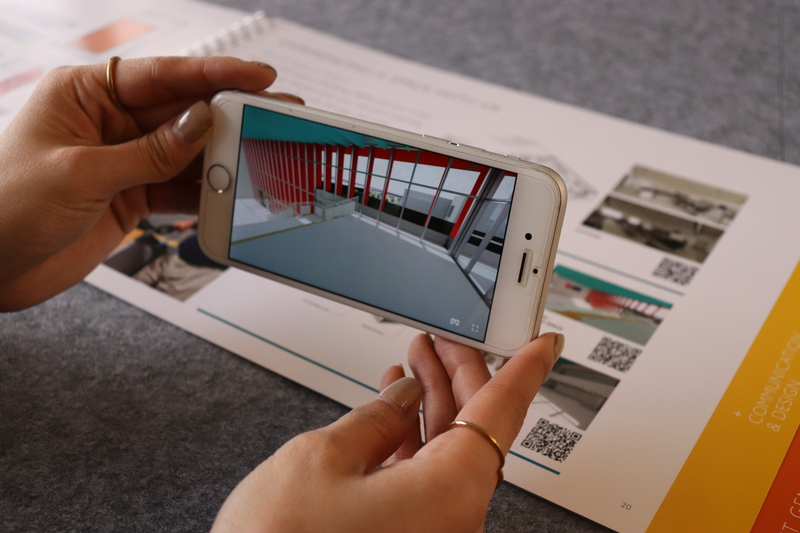 This piece was presented to an interview panel of six and received an extra custom touch — a surfboard bookmark — as a nod to the client’s beach-side location. Special thanks to the Education Market and the Marketing and Graphics team!